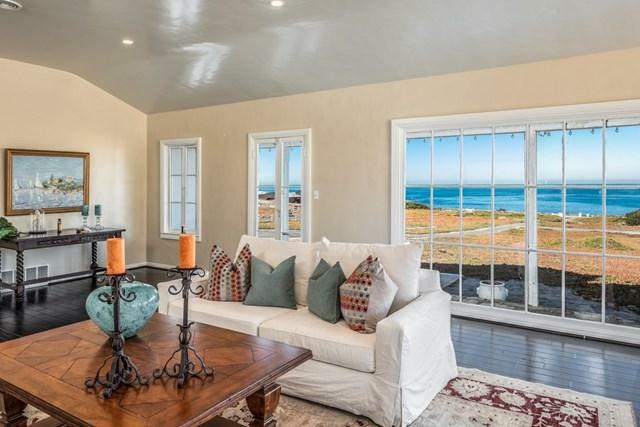 This stately frontline Mediterranean home enjoys stunning ocean views across Monterey Bay to Santa Cruz and beyond. 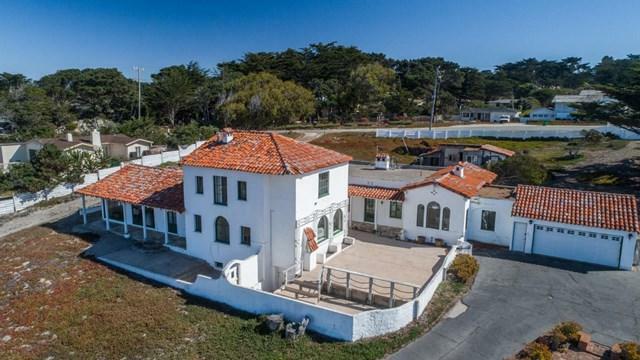 Sited atop 3.44-acres the iconic landmark home features a spacious high ceiling Grand Ballroom living room with fireplace and sweeping ocean views, dining room and family room with alcove fireplace. There are 2 master suites, one on the main level and one occupying the upstairs, and a functional kitchen with a cozy breakfast room. The spacious patio provides ample room for outdoor living with ocean views and sounds of the sea. 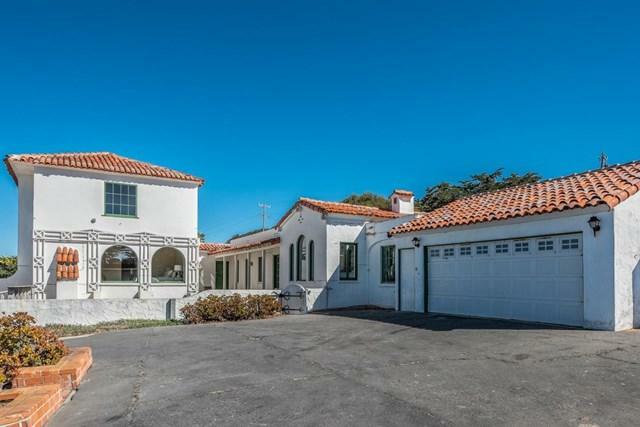 Plus the property features a historic adobe structure. 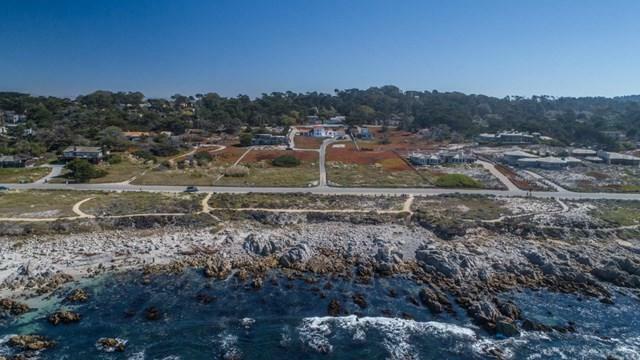 Comprised of 3 Parcels, the property offers many options including refurbishing and updating the existing older stately home or building a new home or guest house on the site, or build 2 new homes on the front lots.